Welcome to RespiratorCertification.com. We provide professional, full-length medical evaluations for your employees as required by OSHA standard 1910.134(e) of section 29 CFR. 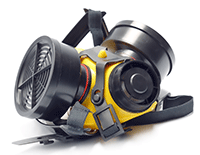 Our respirator certification process has been designed to be as user-friendly as possible. Most applicants are certified within minutes. We hope to make this mandatory procedure as efficient and intuitive as possible, for you and your employees. More Info - How does it work? After your company has been registered within our database, you will be given a passphrase unique to your company. Employees requiring certification will be given this passphrase along with an instruction sheet leading them to our examination page. Optionally, program managers may manually pre-register employees requiring certification, by providing minimal non-medical information on their behalf. 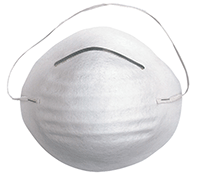 Employees are often contacted by our physicians to clarify answers and obtain additional information as part of the respirator certification process, at no additional cost. 97% of all employees evaluated are certified after questionnaire completion and possible consultation, without requiring any further examination. For the remaining 3%, a clinic exam may be required. We keep our pricing simple. We charge $25 per evaluation. No registration fees, and no monthly fees. For employees requiring a medical follow-up (clinic exam), we offer to manage this process anywhere in the US for an additional $39. We invoice our clients monthly, and invoices can be paid by credit card or check. We offer greatly discounted rates for high-volume companies. If you require more than 10 certifications a month, please give us a call. We would love to speak with you. If you are interested in our respirator certification, please call us any time during business hours (please see “Contact Us” info below), and tell us a little about yourself. We will register your company and provide you with all necessary information and procedures.